Who doesn’t love a cute-as-heck piglet? Right? Very few of us, and these little porcines are just SOOOO adorable. 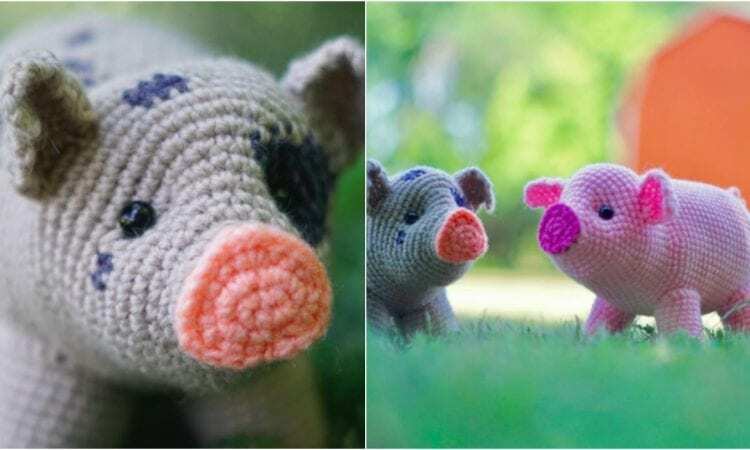 While “piggy pink” is the color traditionally associated with artistic swine, as you can see in the photos below, you can play around with hues, and have just as much variety amongst your ami pigs, as there are in real life, or more. Purple and green? No problem! And the best part is, is that these little cuties are easy to make, so you can have your own herd in no time.